Evan Golden Creative Producer, utilizes brand new technology to give his sister a wedding day present she will not ever forget. Technology connects people like it connects itself to the user who creates its speech. Confused? Creative Director and Producer Evan Golden recently gave a heart-warming speech at his sister?s wedding in Jupiter, Florida that incorporated text he wrote with the mechanical voice of his cell phone. The ending result is one that broke the wedding guests into bales of laughter and gave the speech writer a "Golden Nugget" of creativity that his sister will treasure forever. The "Golden Nugget" Wedding Video has received thousands of hits since it was posted there days ago. Evan Golden is no stranger to speaking to large crowds or in front of cameras. The energetic and enthusiastic actor-producer has an entertainment resume that highlights his many years in the industry. While accompanying his sister to an MTV audition, Golden was spotted by MTV producers and asked to audition for a special with Carmen Electra and got the part which made a statement. From there, he was asked to appear on the WB Television Network's, (now CW), first ever Prom Special. He has guest appeared on other programs including Trigger Happy TV for Comedy Central and The Mandy Moore Show and Wanna Come In? for MTV. Golden graduated from the University of Central Florida in Orlando, Florida with a degree in Interpersonal Communications and Film, and then he interned at ABC affiliate WPLG Channel 10 to pursue a career in the entertainment industry. 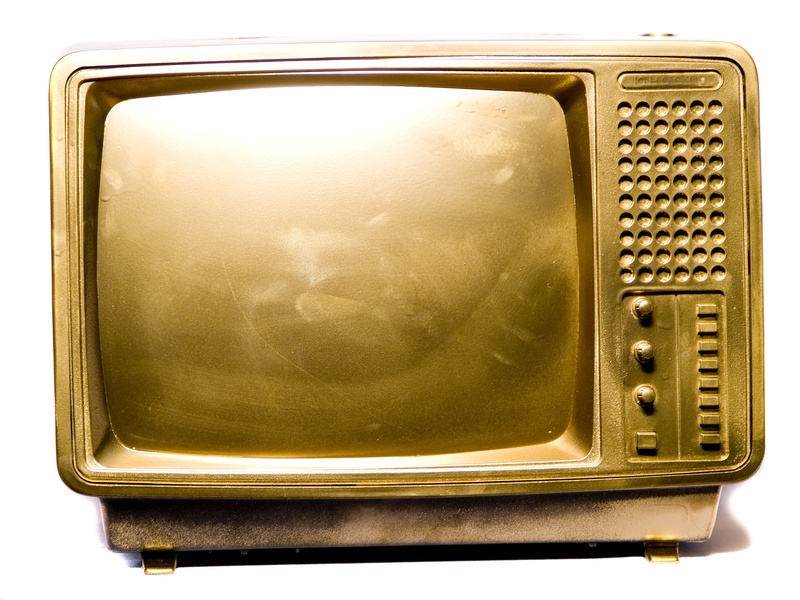 Golden is most recognized for his lead role in the highly publicized reality show titled, Ivana Young Man, hosted by Ivana Trump for the Oxygen Network and W Network in Canada. Love and fatherhood took him into a production role back down to Florida to be near family. 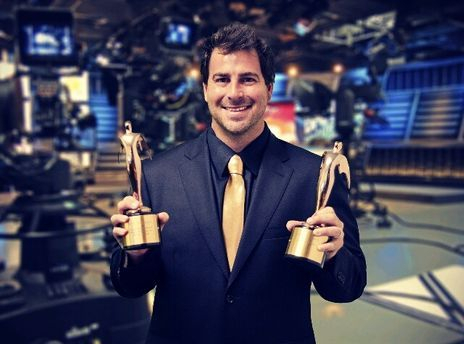 He is a hands-on behind the scenes producer for the award winning cable television programs that starpro ball Hall of Famer Terry Bradshaw. The Producers of Today in America TV are pleased to announce Senior Producer Evan Golden is seen on CineSport.com regarding the show's online video sports contest. 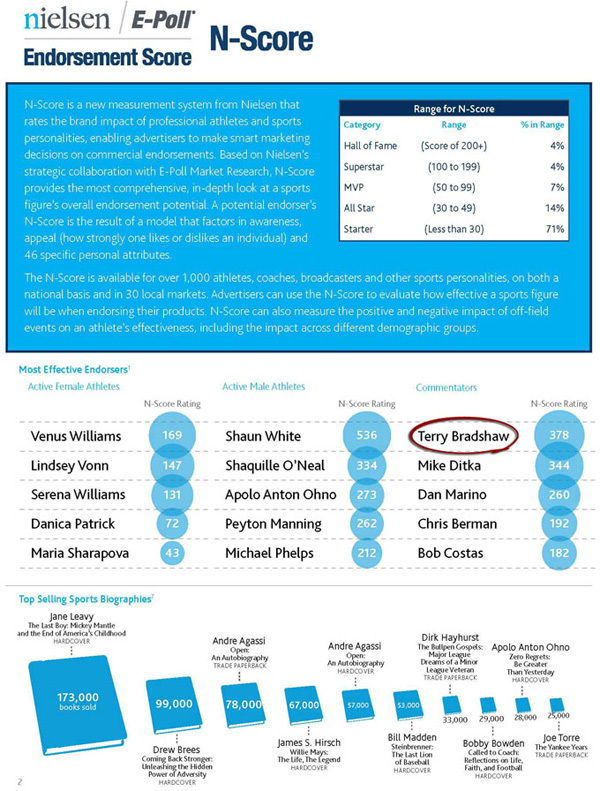 CineSport, a web video syndication company offers sports highlights online and in-demand. 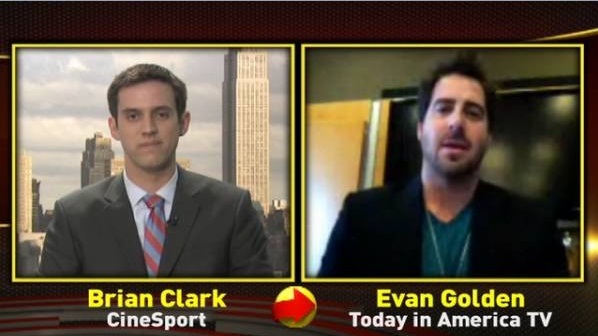 The Today in America TV show is proud to announce that the show's Senior Producer Evan Golden has been interviewed by Cinesport, a web video syndication company that distributes sports videos. The videos are targeted to local media markets across the country and seen by thousands of people every day on the digital version of local newspapers. 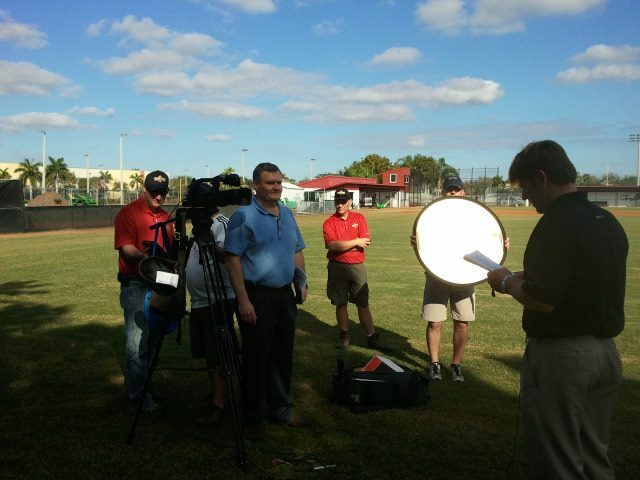 The web based interview advertises Today in America TV's online sports video contest called "Touchdown with Terry". 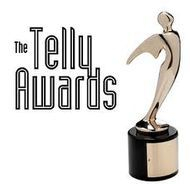 With the rising numbers of obese people, school sports programs bring cut due to the bad economy, the producers of this award winning cable television program thought the contest would be a great idea. Playing sports is greatly beneficial to kids. It builds confidence, provides team building skills and provides camaraderie. The contest offers anyone in the United States a chance to win $10,000 for their local sports team. Catch the interview on the Cinesport website. 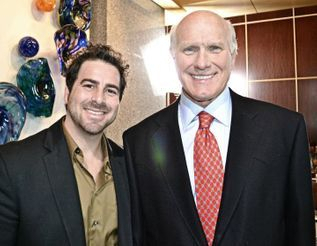 The Today in America TV show host, Terry Bradshaw, is a former NFL great. He was selected as "All-American" at Louisiana Tech University and he was the first player selected in the 1970 draft, eventually joining the Pittsburgh Steelers. Terry holds the distinction of being the first quarterback ever to win four Super Bowl Championships. Twice named as Super Bowl "MVP", Bradshaw holds Super Bowl all-time passing records to this day. He can be currently seen on Fox NFL Sunday as an analyst. 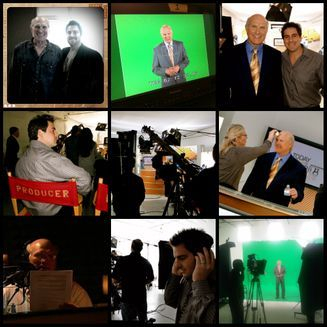 Today in America Terry Bradshaw brings viewers interesting stories about what's happening in a variety of fields around the country and around the world. The Today in America TV show is available nationally and regionally on many popular television networks. For more information, please visit the Today in America TV website. Courtesy of Natural Sand Company, the Eagles baseball team will receive a complimentary infield remodeling during the first week of January. "We wanted to get a new field and make the stadium better, so that's a step in the right direction," head coach Todd Fitz-Gerald said. "This is the best stuff on the market" Courtesy of Natural Sand Company, the Eagles baseball team will receive a complimentary infield remodeling during the first week of January. While utilizing its own invention of Engineered Soil Technology, the manufacturing of blends that meet strict specifications, Natural Sand Company has provided materials to ball fields at every level, from community parks to professional stadiums. The Florida Marlins, Milwaukee Brewers, and Philadelphia Phillies, among other franchises currently utilize similar products in maintaining their facilities. According to Natural Sand Company, its products add clay content, create consistent infield skin, enhance the appearance of ball fields, and increase player safety. United States Television Inc., in researching new ideas for its feature shows, connected Natural Sand Company with Douglas. With a mission to educate audiences while also providing entertainment, the staff of the half hour program finds approximately four to five topics to discuss with the public each week on FOX Business Network at 4pm. 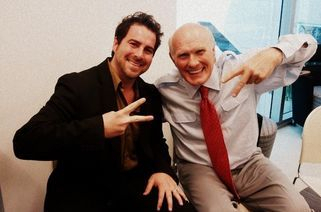 Terry Bradshaw, the most effective endorsing commentator in television according to the Nielson Company, narrates and hosts Today in America from US Media's main office behind Scarfonne's in the Heron Bay Plaza. "We have been one of the leaders in educational television since 1997," Evan Golden, Producer and Creative Director of of all programming, said. "With our style of work, it was a good match since we were both leaders in our fields, no pun intended!? In order to produce live footage for the Natural Sand segment on an upcoming show, the producers needed to arrange for a local demonstration. 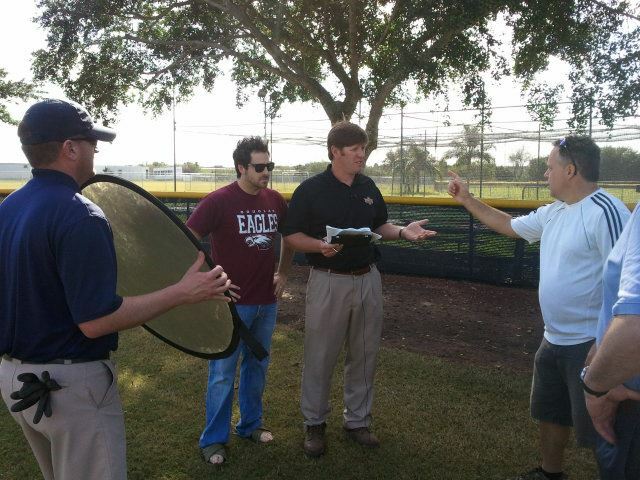 Doug Scott, president and founder of US Media, formerly coached travel baseball with Fitz-Gerald and helped secure Douglas the field improvements. "There was a need for education there,"Golden said. "Now we can inform on the importance of having a new and innovative infield." Golden, after graduating from Douglas in 1999, appeared on various television programs such as MTV?s "The Mandy Moore Show", "Wanna Come In"? and Ivana Trumps reality TV show, until 2005 when he made the transition behind the scenes. He now works on the creative, editorial calendar and all future ideas and production initiatives, as he says "It's Edutainment and the News you want to hear!"